Our Roots | Adirondack Classic Designs, Inc. 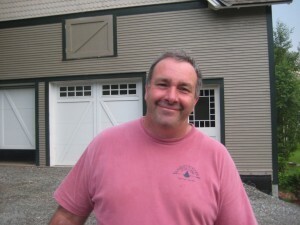 Founded by the company’s owner and President, John Hamilton, in 1992, Adirondack Classic Designs, Inc. has been a premier builder in the Adirondacks since its very early days. As a visionary, John modeled his business to include every aspect of building properties for his clients. He chose to move from a specialty cabinet shop to a full service general contracting business not long after completing his first job as a subcontractor. John quickly learned that he could meet the needs of his customers as easily as the general contractors he was working with. It was this precise vision that has led him to his long standing commitment to preserving the integrity of the product he delivers to his customers. In keeping with that preservation, Adirondack Classic Designs, Inc. offers an array of in house build services that other builders are often required to subcontract out. This allows us greater control over project timing, costs and quality. In addition, we offer in house design services to plan out that special project with our customers. Often we are called upon and pleased to collaborate with architects, both here regionally, as well as those nationally recognized as the very best. The team John has assembled is truly a reflection of him. He brings his vision, talent and work ethic to all that he does and as a result, his team shares the same values – which can be seen in our quality work. John is joined by his partner in life and in business, Mary. Together their combined professional experience, vision and work ethic is what continues to drive the company’s success and growth. 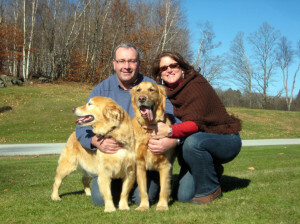 In their free time, together they take advantage of living in the heart of the Adirondacks… With three golden retrievers, Lewis, Clark and Nelson (a puppy), at their side, they are usually off hiking, boating or fly fishing when not at home gardening or cooking up breads, pizzas or other great meals in their outdoor wood fired oven.